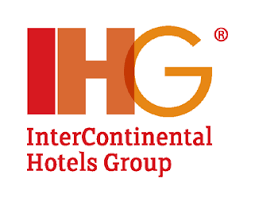 Hotel jobs IHG, Hilton, Starwood, Accor, Marriott and Wyndham Hotels in Central London and West London - Heathrow areas. Holiday Inn Express London Royal Docks we are looking for exceptional people to provide outstanding service to our guests and who put our people at the heart of everything we do. 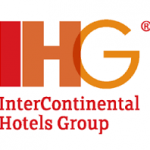 The position of Guest Services Assistant has become available at Holiday Inn Express London Royal Docks. Reporting into the Deputy General Manager, you will be responsible for Delivering excellent Customer Services, Check in and Check out, Answering the telephone, assisting guests, cash and credit card handling and working as part of an established team. The successful applicant for this role will deliver excellent customer service, have a positive ‘can do’ attitude, be willing to learn and show that they care. Holiday Inn Express is located in East London, just a 5 minute walk from Canning town tube station, the hotel boasts 136 bedrooms with on site bar and 4 conference rooms. Ideally situated for events at the Excel and O2. We pride ourselves on investing in our people and delivering outstanding hotel customer service. The Holiday Inn Express London Royal Docks by RBH Hospitality Management and Recruitment Solutions; an independent hotel management company, working in partnership with six of the most prestigious hotels in London including IHG, Hilton, Starwood, Accor, Marriot and Wyndham. Redefine|BDL Careers.